Control Solutions’ Model VP4-0610 ValuPoint® Programmable I/O for Modbus RTU has 6 I/O points, and operates as a master or slave for I/O expansion, or as a controller with soft PLC capability. The VP4-0610 is a scaled down, low cost version of the VP4-2310 featuring 2 universal inputs that may be configured as analog or discrete, 2 dedicated discrete inputs, and 2 Form A relay outputs. 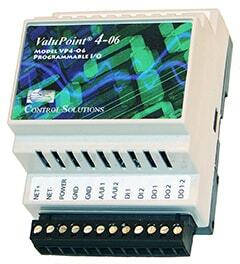 The ValuPoint® series of controllers is designed to be a building block in a distributed control system. The VP4-0610 can be used as Modbus slave for system expansion, or as Modbus master for stand-alone applications. When configured as Master, the VP4-0610 can query other Modbus devices, and use local registers to mirror mapped registers in remote devices. Control Solutions’ Model VP4-0610 ValuPoint® Programmable I/O for Modbus RTU operates as a master or slave for I/O expansion, or as a controller with soft PLC capability. The VP4-0610 is a scaled down, low cost version of the VP4-2310 featuring 2 universal inputs that may be confi gured as analog or discrete, 2 dedicated discrete inputs, and 2 Form A relay outputs. The VP4-0610 has a total of 320 data objects, of which the first several are assigned to physical I/O points. The remaining objects may be used as local storage for the soft PLC program, or may be used to mirror remote registers in other Modbus slaves. Each data object may be accessed as 16-bit or 32-bit integer, or floating point. Discrete points may be read as holding registers, coils, or discrete inputs. 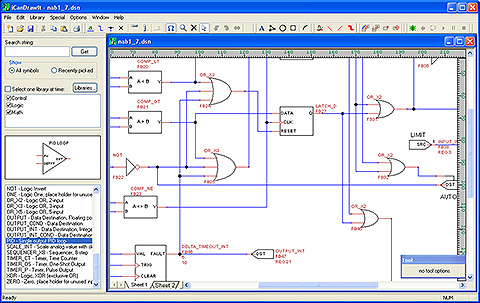 Analog points may be read as holding or input registers. 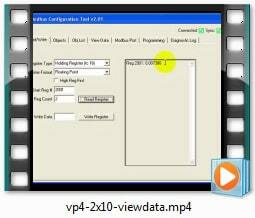 ValuPoint® support software, available for download at no cost, includes the VP4-0610 configuration tool, i.CanDrawIt graphical programming tool, and the pliWrite line programming tool. Both programming tools support both simulated execution and live debug. 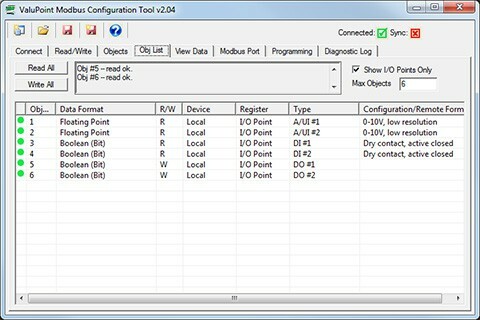 The tools connect via Modbus RTU. 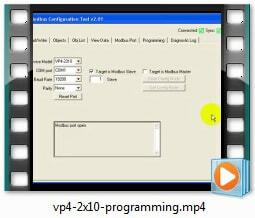 The ValuPoint VP4-0610 Configuration Tool is a user friendly configuration tool that provides simple templates for reading and writing the Modbus registers that configure the device. 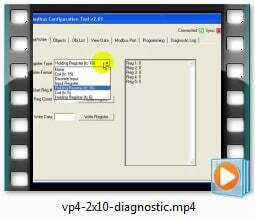 Connect the ValuPoint to your laptop via any RS-485 adapter on your PC's COM port. .
Watch these videos for an introduction to configuring the ValuPoint. It's easier than reading! 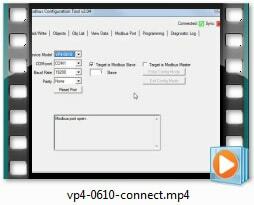 Note: The first video talks specifically about the VP4-0610 even though it is generic and applies to all ValuPoint-Modbus devices. 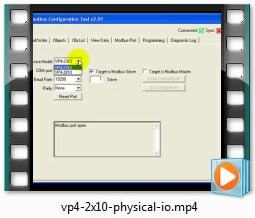 The remaining videos were originally recorded for the VP4-2310/2810, but are universal to all ValuPoint-Modbus models including the VP4-0610.